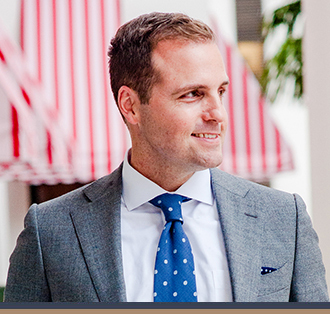 A graduate of Florida State University’s distinguished Applied American Politics and Policy Master’s degree program, Justin has put politics into practice and is well-regarded as one of Florida’s top Democratic strategists. Upon finishing his education, Justin was a professional campaign consultant and raised nearly $13 million for various candidates, after which he was sought out by CFO Alex Sink to manage her finance operations for her gubernatorial bid where he led a team of fundraisers and handled donor relations. Subsequently, Justin continued lobbying and campaign consulting, with experience representing clients before local governments, the Legislature, state agencies, and national organizations such as the Democratic Governors Association. Justin has served on both Hillary Clinton and Barack Obama’s National Finance Committees, and was the Tampa Bay Regional Finance Chairman for President Obama’s reelection campaign. Justin has also been a Co-Chair of the Democratic National Committee’s Gen44 program, and currently serves as Deputy Treasurer for the Democratic Governors Association. Justin manages Capital City Consulting’s Tampa office.